Curalina, I’m a Chatterbox Lead Confusing Alabama Stakes: Official results aside, nothing about the Coaching Club American Oaks (GI) made clear which filly is best in the three-year-old female division. 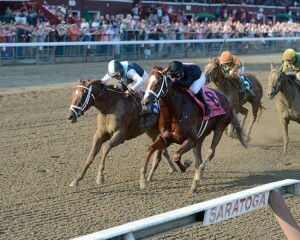 Curalina won, but I’m a Chatterbox ran courageously while crossing the wire first and losing via disqualification. A couple of conspiracy theorists argued the stewards put up Curalina because Todd Pletcher trains her. 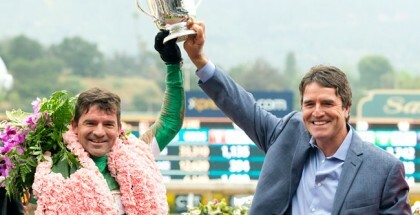 She deserved the win, although the two fillies are equal. 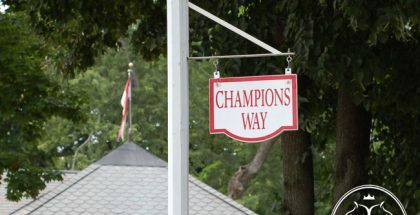 They meet again in the Alabama Stakes (GI) on Saturday at Saratoga Race Course, run at 10 furlongs. Fillies rarely go this long, which makes the race difficult to handicap because there is no form at the distance to analyze. Perhaps looking at pedigree again, combined with previous form, will help? Curalina is a daughter of Curlin, who was a strong performer at longer route races. Curalina’s other two-turn attempt before her last start looks strong on paper, as she won by over eight lengths. Furthermore, Pletcher is generally good with stretching horses out (or arguably excellent in all categories). The downside to betting Curalina will be the value. Bettors at Saratoga play Pletcher horses without really thinking about the horse, and her sire only makes her more popular. I’m a Chatterbox is a daughter of Munnings, a proficient miler in his career. Her siblings offer little clues, and neither does the dam. Trainer Larry Jones is loved by racing fans. In terms of betting, the Pletcher horse is still going to gain more attention because of the racetrack. Both fillies are incredibly talented and it is not going to surprise anyone if either filly win. Unfortunately, even with a slight edge to I’m a Chatterbox in value, it might be best to skip this race if adamant that one of them prevails. Going over the rest of the field, they mostly offer significant drawbacks. From the rail, Danette likes to run solidly against the big fillies. She just never wins often. In the third post position, I’m a Chatterbox’s stablemate Lovely Maria tries to make amends for the poor Delaware Oaks (GIII) effort. Yet, trusting her seems difficult. Even if it could be argued the winner of the Delaware Oaks, Calamity Kate, had a great trip, Lovely Maria failed to outkick the second place and third place finishers. Two spots right of Lovely Maria, Embellish the Lace might offer value. Her run in the Mother Goose (GI) was significantly compromised by a pace collapse. If that is hard to believe, look at Include Betty and her performances in the Mother Goose and Coaching Club American Oaks. With a setup, she dominated the Mother Goose. Without the same setup, she just ran okay at Saratoga. 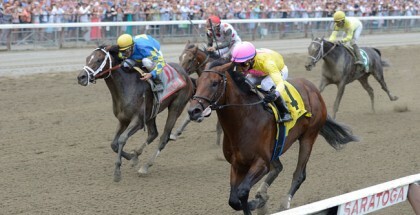 Javier Castellano gives piloting Embellish the Lace a try, and he is unlikely to get caught in any crazy speed duels. Fans love Include Betty because she closes from way behind, the most popular running style with bettors because they want to feel like their ticket has a chance until the end. Her talent is nothing that stands out, and the value will be lower than her real chances of winning. If going with a closer, why not try Sweetgrass, who breaks from the outside? She pressed the pace last time when the half mile went in a dawdling 48 seconds at Indiana Grand. In this situation, she figures to be a little further back. Plus, Sweetgrass is projected to be ignored in a wide open field. This race comes off as a head scratcher. Remember when Questing completely dominated the 2012 Alabama by setting blitzing fractions and bottoming out the field? Her effort was truly incredible, and one in danger of being forgotten because she lost form shortly after taking this race. Nothing resembling Questing’s win is going to happen with these fillies. In all likelihood, the winner for this edition is going to fight tooth and nail for the victory. Not a lot separates them, so pick a name out of a hat and decide.